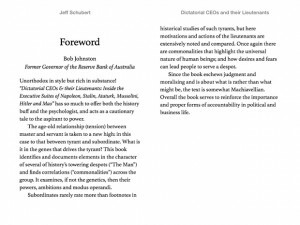 Jeff came to us with a book he’d previously published in hardcopy wanting to turn it into an ebook. We took his print-ready PDF and converted it to epub and mobi ready for release on vendors. We used his supplied front cover along with the ebook files and aggregated it to Google Play, Kobo, Apple iBooks and Kindle. "Unorthodox in style but rich in substance! This book has so much to offer both the history buff and the psychologist. 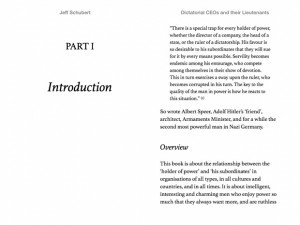 It identifies and documents elements in the character of several of history’s towering despots and finds correlations across the group. It examines, if not the genetics, then their powers, ambitions and modus operandi. 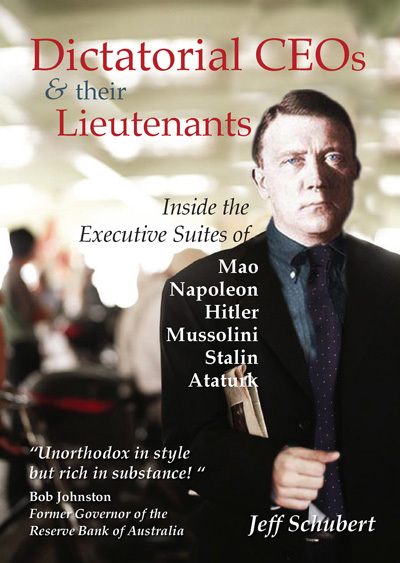 Subordinates rarely rate more than footnotes in historical studies of such tyrants, but here motivations and actions of the lieutenants are extensively noted and compared. Once again there are commonalities that highlight the universal nature of human beings; and how desires and fears can lead people to serve a despot. Since the book eschews judgment and moralizing, the text here is somewhat Machiavellian. Overall the book serves to reinforce the importance and proper forms of accountability in political and business life." 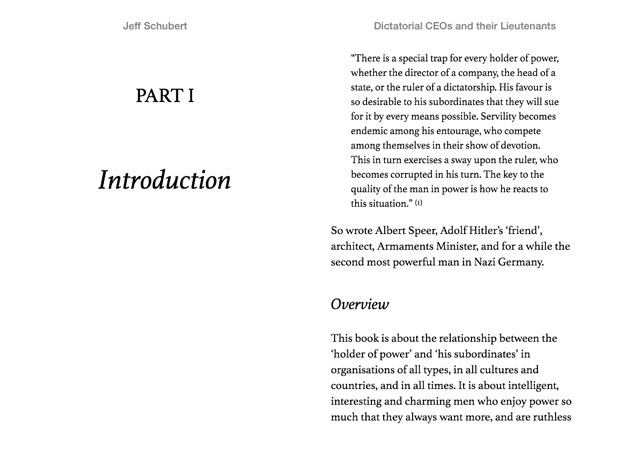 "Jeff Schubert's book is a veritable Who's Who of the dictators who have put their stamp on the world in the past two centuries. Taking these dictatorial leaders as examples, the author helps us to become more alert to the darker side of humankind'. "The dictatorial CEO meets the organizational psychopath. We all know these people. Refreshingly, the message form this book is ‘how to live with one’, rather than ‘how to become one’. An important contribution to the literature and a useful read for any manager." Prof. Richard Badham, Macquarie Graduate School of Management. "This book cuts across boundaries. Its research methods and style are far from orthodox. It does not fit into the nice disciplinary categories of contemporary management thought and social science research. This is why I would recommend it! Anyone with experience in organisational life is aware of the centrality of office politics. Politics at the top is unsurprisingly at the summit of this political pyramid. It is far too rarely discussed and reflected on with any range or depth. This book provides an engaging and interesting introduction to many of the issues. It is worth buying simply for the stories and quotes from well-known contentious historical figures."